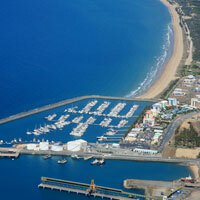 Home to the Australian Marina of the Year, this seaside village is well worth a visit. Its peaceful setting is quite busy at times with access to a boat ramp, the local Surf Club and an array of eateries along the waterfront. Several high rise developments provide quality accommodation and unsurpassed views of the Coral Sea. Features: Generator, bike rack, beach shower, boardwalk, lifeguard tower & softfall edging.